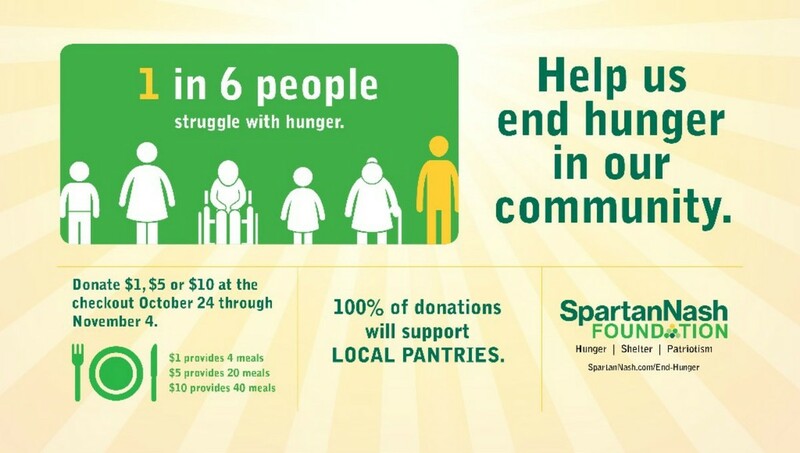 This fall, the SpartanNash Foundation hosted their company-wide fundraising effort to help end hunger in the communities we serve, inviting store guests to join us in supporting more than 100 local food pantries and food banks. Customers who visited FAMILY FARE could donate $1, $5 or $10 at any checkout lane – with 100 percent of dollars raised benefiting our pantry partners. 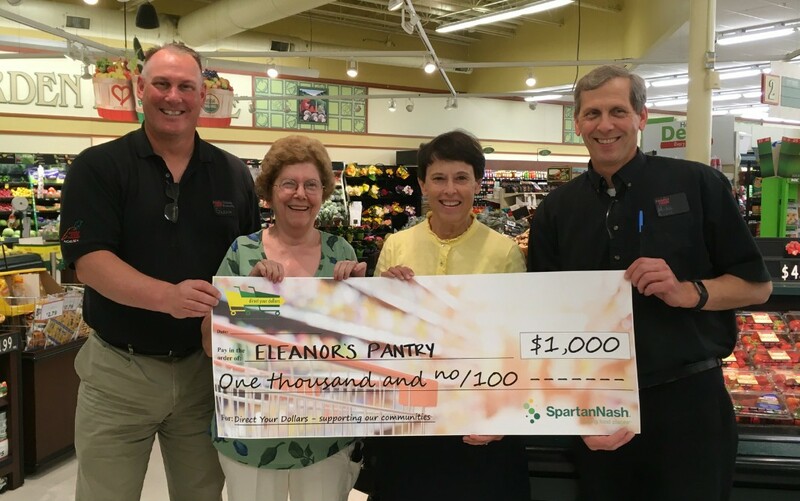 This campaign recently earned Eleanor's Pantry $2,500! THANK YOU to the regional community in Van Buren County! One in six people struggles with hunger, and we ask that you join us in the fight against hunger. "We are excited to continue to build relationships in our local communities – and support our local food pantries, veterans and service members and valued partners like you. Our goal is to share updates like these throughout the year, as we look to engage our local partners and communities in SpartanNash initiatives," SpartanNash management. Family Fare supporting the pantry several times previously with Save the Receipt campaign. Manager, Glenn Jankowski and Mike Paynich from Family Fare present a $1,000 check to Freida Duringer and Sue Miller from Eleanor’s Pantry. Your collected receipts earned this from Spartan-Nash’s “Direct Your Dollars”.